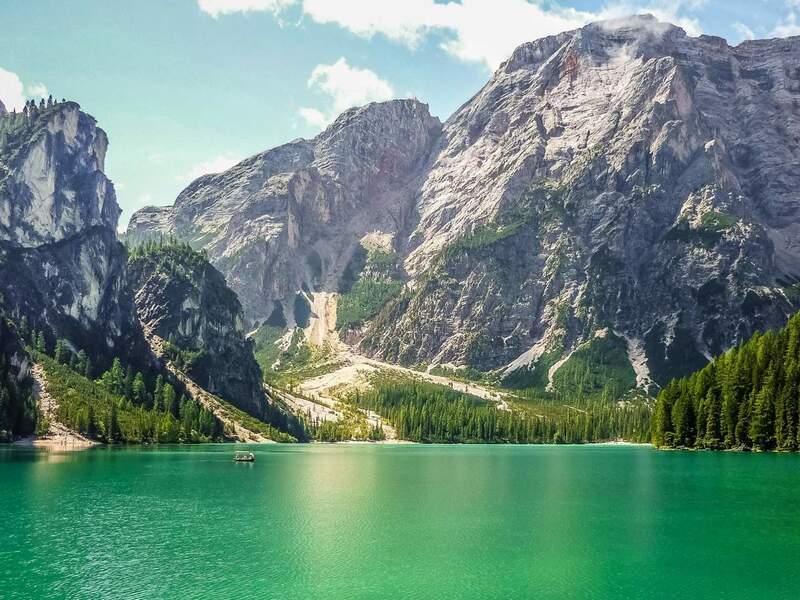 Legendary, emerald green and known all over the world – this is South Tyrol’s biggest mountain lake in the middle Nature Park Fanes-Sennes-Prags. Lake Prags in Hochpustertal is not for nothing called “pearl of the Dolomites lakes”. 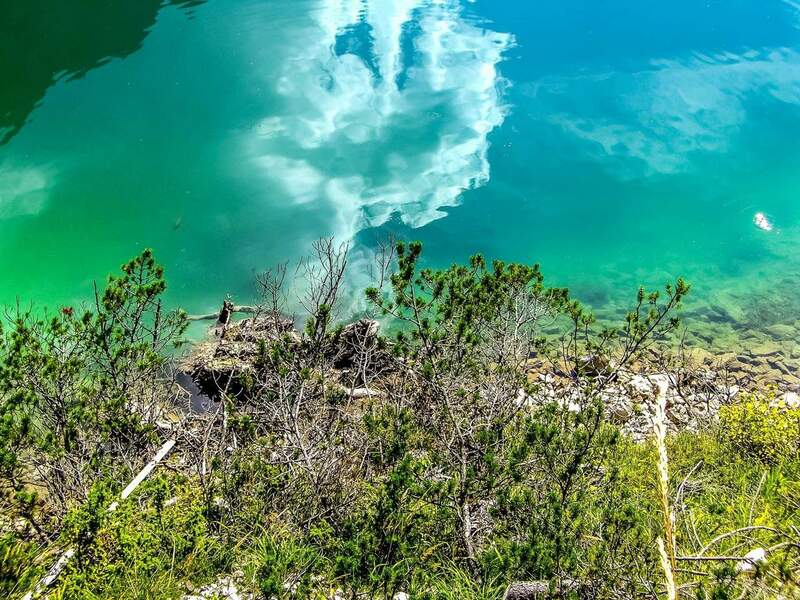 The crystal clear mountain waters, which is surrounded by steep rock slopes situated at the foot of Mt. Seekofel (2,810 m), integrates itself picturesquely into the Dolomites landscape. 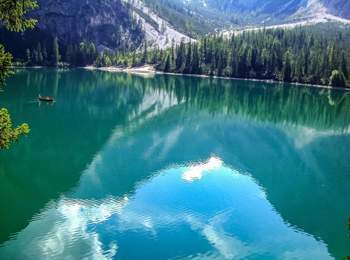 Located at 1,496 m above sea level., Lake Prags is about 31 hectares large and reaches a maximum depth of 36 m. The highest temperature on the water surface is 14°C on hot summer days. Since the railway runs through the valley of Pustertal, the lake has become a famous destination for relaxations seekers, families and nature lovers. However, only few know that the lake is a protagonist of and old Dolomites myth, which tells us that the lake had been access to an underground part of “Fanes kingdom” accessible by boat. The gate is nowadays meant to be completely submerged, situated at the foot of Mt. Seekofel. 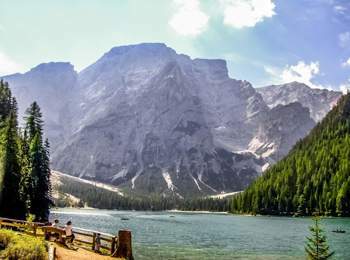 In Ladin, the peak is still called “Sas dla Porta” (gate mountain). Whereas the many visitors walk around the lake, enjoy the sun on its shore or risk jumping into the cool water in summer, it is also a well-known attraction in winter. Improve your ice-skating skills or make unforgettable snowshoe hikes and ski tours in the environs! 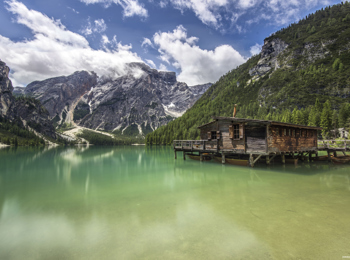 Since many years, Lake Prags has also become a famous setting for film and TV productions. 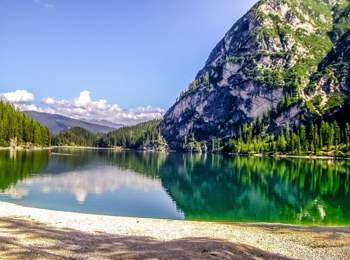 For instance, the Italian TV series “Un passo dal cielo” (A step from heaven) with Terence Hill displays the lake in its most beautiful facets. Prags and the homonymous lake, Innichen, Mt. 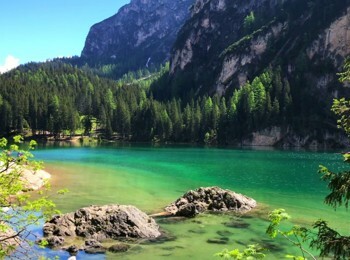 Kronplatz and the unique peaks of the Dolomites in the environs were chosen to take part of the series. 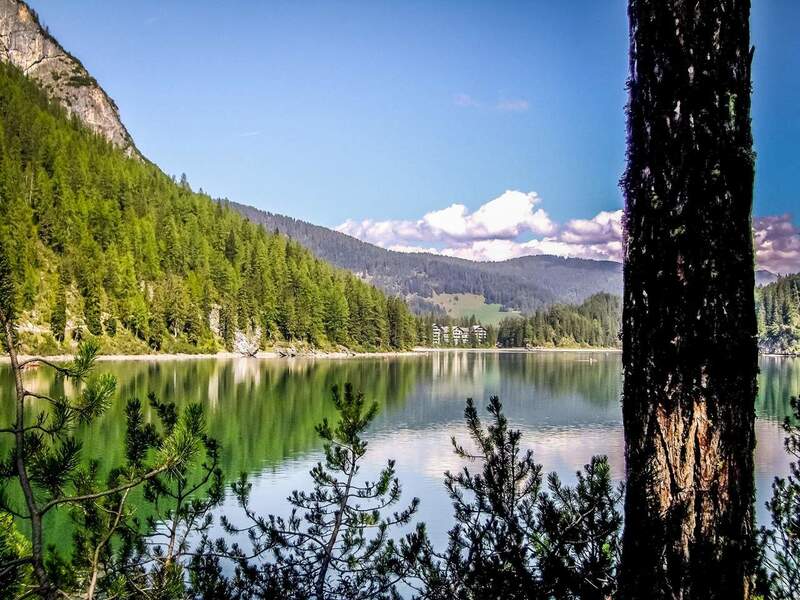 As well, the lake was also the location for the German film production “Burg Schreckenstein” and the war drama “The Silent Mountain” with William Moseley.